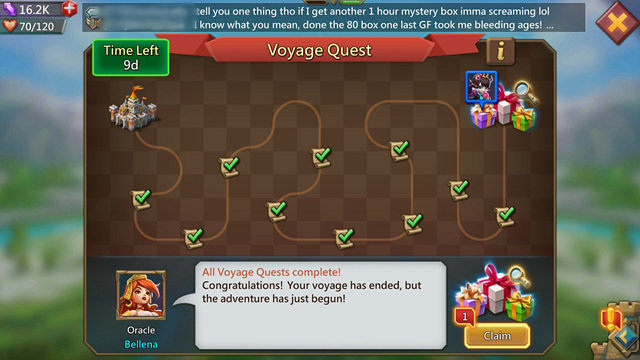 Voyage Quests unlock at Castle Lv 4. 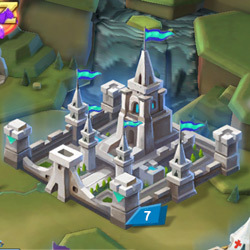 Friend invitation starts at Castle Lv 7. Both parties will get rewards! Reach Castle Lv 7 to start inviting friends. Friends must be downloading the game on their device for the first time, and must register a new account. Friends must use the [Invite Link] to download, log in, and link their account withion 24 hours. Friends invited will get the [Welcome Gift]. You will get an Invitaition Reward when a friend you invited joins the game. When your friend completes a Voyage Quest, you will get the Comrade Reward! Previous Previous post: [Discussion] What Do You Want to See for Today’s LM Update?